Human-wildlife conflict (HWC) is a serious problem for many large carnivores (Dickman, Marchini, & Manfredo, 2013). It usually takes the form of predation on livestock; and killings of predators that appear to be in retaliation. But in some cases HWC involves attacks on people. In few places are more humans killed by large carnivores than in the Sundarbans (Barlow, Ahmad, & Smith, 2013). The Sundarbans is the largest mangrove forest in the world. Including parts of India and Bangladesh, it is where the Ganges and Brahmaputra rivers enter the Bay of Bengal (UNESCO, 2016). There are no human settlements within the Sundarbans Reserve Forest of Bangladesh, but there are 76 villages directly outside it. There are also close to 106 Royal Bengal Tigers (Inskip, Carter, Riley, Roberts, & MacMillan, 2016). An unusually high amount of people are harmed by tigers in the Sundarbans each year (Goodrich, 2010). This includes at least 50 attacks (Inskip et al., 2016) and 22 deaths per year (Barlow et al., 2013). HWC in the Bangladesh Sundarbans also takes a heavy toll on tigers. At least three of these endangered animals are killed each year, and this does not include unreported incidents (Inskip et al., 2013). Attacks on people by tigers also generate negative attitudes that may hamper conservation efforts (Goodrich, 2010). Exactly why so many people are attacked by tigers in the Sundarbans is not entirely understood. It has long been supposed that the salty water might make tigers more aggressive, but there is no support for this (Barlow, Greenwood, Ahmad, & Smith, 2010). However, it is clear that extreme poverty plays a role (Inskip et al., 2013). As a result of poor infrastructure, government corruption, lack of educational opportunities, and dams that render agriculture impossible (Inskip et al., 2013); those who live near the forest are forced to enter it in order to survive (Barlow et al., 2013; Inskip et al., 2013). This makes them vulnerable to attacks by tigers. I remember watching a documentary called “Waterland” which stated that honey collecting, one of the activities pursued by people in the forest, takes them into the places where tigers like to rest (Gray, 2007). Poverty also influences village tiger incidents, since poor house construction increases affective (emotional) risk perceptions when tigers enter villages (Inskip et al., 2013). This is important because affective risk perceptions have been found to contribute to crowd-forming behavior (Inskip, Fahad, Tully, Roberts, & MacMillan, 2014). When tigers enter settlements near the Sundarbans, hundreds of people often surround the animals and beat them to death. Not surprisingly, this causes tigers to attack people (Barlow et al., 2010). 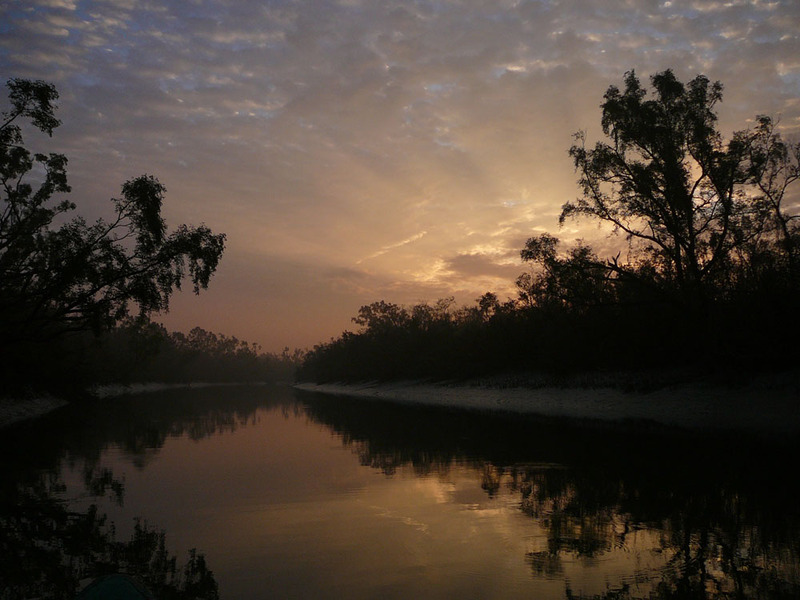 The ultimate solution to HWC in the Bangladesh Sundarbans will involve relieving the poverty that forces people into high-risk situations (Inskip et al., 2013). But Barlow et al. (2010) identified two shorter-term interventions that might also help. One of these was the establishment of tiger-response teams. These teams would administer first aid to attack victims, rush them to medical facilities, keep people away from attack sites, and expel tigers from villages. A number of tiger-response teams have already been developed (Barlow et al., 2013; Inskip et al., 2014). The other proposed response was to radio-collar tigers that kill two or more people. This is because 50% of the tigers who kill humans in the Sundarbans only kill one person. But the half that kills multiple people is responsible for 81% of fatalities (Barlow et al., 2013; Barlow et al., 2010). Collaring repeat offenders would make it possible to monitor their movements, keep people away from them, take action when they approach villages, and learn more about human-killing tigers (Barlow et al., 2010; Barlow et al., 2013). Since tiger-killing in the Sundarbans is motivated by many social and psychological factors, eliminating human fatalities will not stop tiger persecution. Educational and social marketing campaigns should therefore be employed to address these factors (Inskip et al., 2014; Inskip et al., 2016). The extreme case of HWC in the Bangladesh Sundarbans highlights the importance of considering situational and systemic forces. By looking at the bigger picture, researchers like Chloe Inskip and Adam Barlow were able to design solutions that will help lessen the conflict. Collaring repeat offenders, establishing tiger-response teams, educating villagers, and alleviating poverty will improve the prospects for both people and tigers in the Bangladesh Sundarbans. Barlow, A. C. D., Greenwood, C. J., Ahmad, I. U., & Smith, J. L. D. (2010). Use of an action-selection framework for human-carnivore conflict in the Bangladesh Sundarbans. Conservation Biology, 24(5), 1338-1347. http://dx.doi.org/10.1111/j.1523-1739.2010.01496.x. Barlow, A. C. D., Ahmad, I., & Smith, J. L. D. (2013). Profiling tigers (Panthera tigris) to formulate management responses to human-killing in the Bangladesh Sundarbans. Wildlife Biology in Practice, 9(2), 30-39. http://dx.doi.org/10.2461/wbp.2013.9.6. Inskip, C., Ridout, M., Fahad., Z., Tully, R., Barlow, A., Barlow, C. G., … MacMillan, D. (2013). 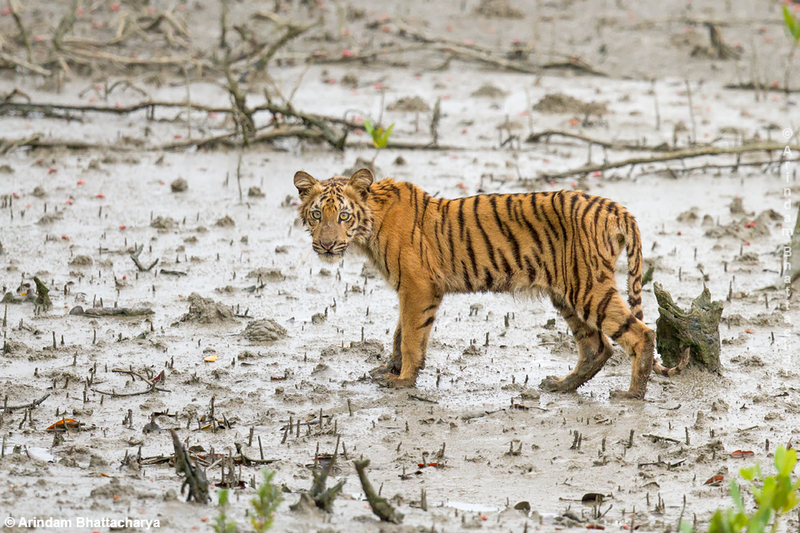 Human-tiger conflict in context: Risks to lives and livelihoods in the Bangladesh Sundarbans. Human Ecology, 41(2), 169-186. http://dx.doi.org/10.1007/s10745-012-9556-6. Inskip, C., Carter, N., Riley, S., Roberts, T., & MacMillan, D. (2016). 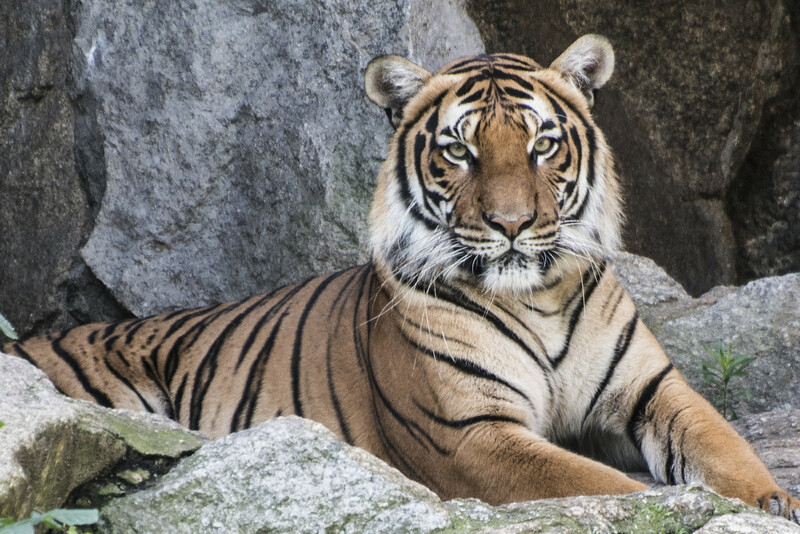 Toward human-carnivore coexistence: Understanding tolerance for tigers in Bangladesh. PLoS ONE, 11(1): e0145913. http://dx.doi.org/10.1371/journal.pone.0145913. 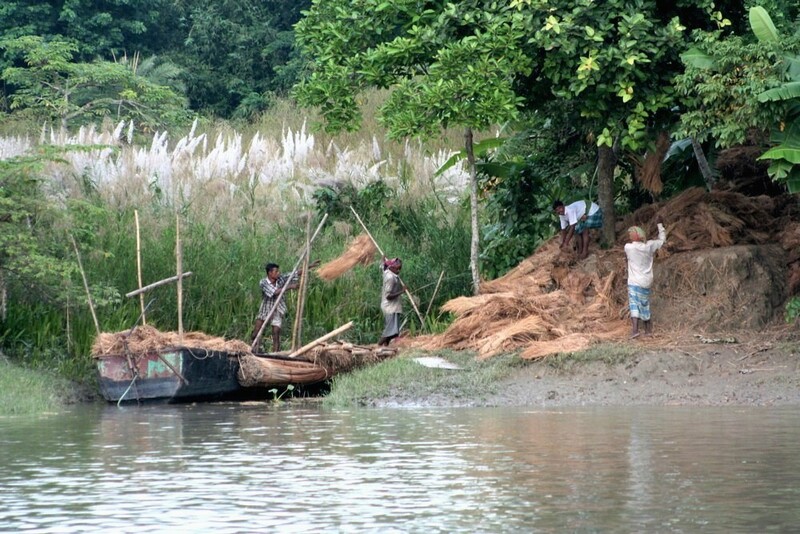 Pingback: Protecting People and Tigers in the Bangladesh Sundarbans | Blogger's World! Thank you! I’m glad you think so. Really informative and well researched! It’s interesting what you mention about 50% of the tigers being responsible for multiple fatalities. Radio collaring might be a good place to start! Yes, the 50% figure is one of the reason automatically culling human-killing tigers wouldn’t be the best idea here. The tiger population in the Sundarbans is quite vulnerable, and killing the 50% of tigers who only kill one person would be a waste. Collaring the other half would allow us to focus our efforts on the most problematic tigers. I hope so too. There’s some evidence that the residents of the Sundarbans also have positive views of tigers, because they keep the forest from being cut down. But in order to encourage coexistence we’ll need to dramatically reduce attacks on people, alleviate poverty, and address the social factors that lead to killings of tigers. I know right? It’s hard for most of us to imagine living in a place where we actually have to be afraid of wild animals. However, I want to stress that the situation in the Sundarbans is unusual. I will not lie about the fact that tigers sometimes do attack and kill people. But the level of fatalities in the Sundarbans is highly abnormal. Unfortunately the link between poverty and conservation problems is less rare. I suspect I will write about this in the future.